Our heart work hard every minute of every day and never, ever take a break. Therefore it’s imperative to do what we can to take excellent care of it. We subject our heart to all kinds of trials, from hiking Half Dome in Yosemite to fast food splurges to irrationally tight work deadlines. Exercising, eating a balanced diet and committing to stress reduction regimes are some great ways to ensure heart health. Healthy lifestyle choices along with proven quality of heart health supplements can make a huge difference to overall health, longevity, and happiness. In various research, CoQ10 levels have been found to be markedly decreased in patients experiencing heart failure.2 Preliminary studies suggest that supplementing heart failure patients with CoQ10 supplements can help improve cardiac function. 3 It’s also important to note that CoQ10 levels tend to diminish with age in general. One way to avoid low levels of this vital enzyme is to take a daily supplement that can help lower the chances of the health risks associated with compromised levels of CoQ10. A supplement with the ability to be successful in this endeavor while consisting of safe, natural ingredients with no adverse side effects is very good news for anyone concerned with heart health. All of us! It’s name? Q-Gel® CoQ10. Solanova’s Q-Gel® CoQ10 is an excellent supplement choice to replenish depleted CoQ10 in the body. One unique feature of Q-Gel® is that there is no need to wait months for these supplements to be fully engaged. Because of their high absorption, the effectiveness can be garnered in as little as a few weeks. Q-Gel® CoQ10 is made from 100% natural, pure ingredients from Japan and is safe and effective. 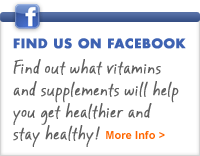 Discover renewed heart health in an easy to take, efficient supplement. Be still my beating heart! 1,2 Langsjoen P., M.D., F.A.C.C. "Introduction to Coenzyme Q10." Paper. Reprint University Of Washington (http://faculty.washington.edu/ely/coenzq10.html) International Coenzyme Q10 Association; Nov 1997. 3Kumar A, Singh RB, et al, Acta Cardiol. 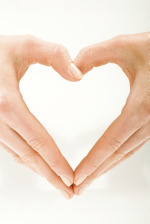 "Supplementation with Carnitine and Conenzyme Q10 May Benefit Patients with Heart Failure,(http://www.vitasearch.com/get-clp-summary/36744), 2007.